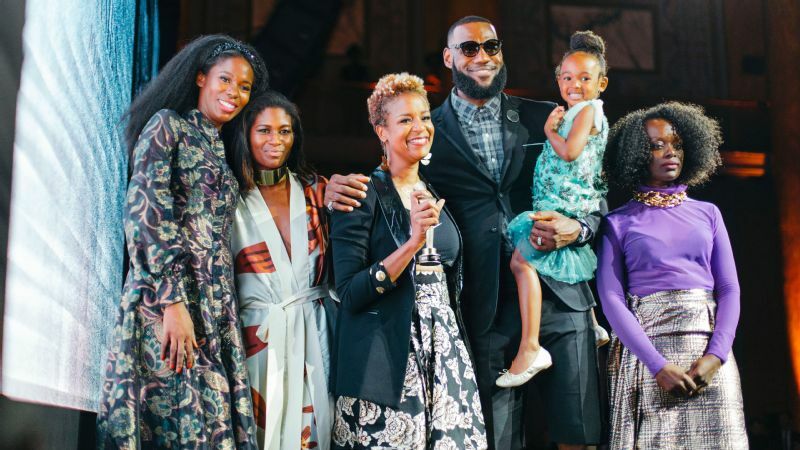 From left: Kimberly Goldson, Fe Noel, Brandice Daniel, LeBron James, LeBron's daughter Zhuri and Undra Duncan at the HFR Style Awards and Fashion Show in New York City. 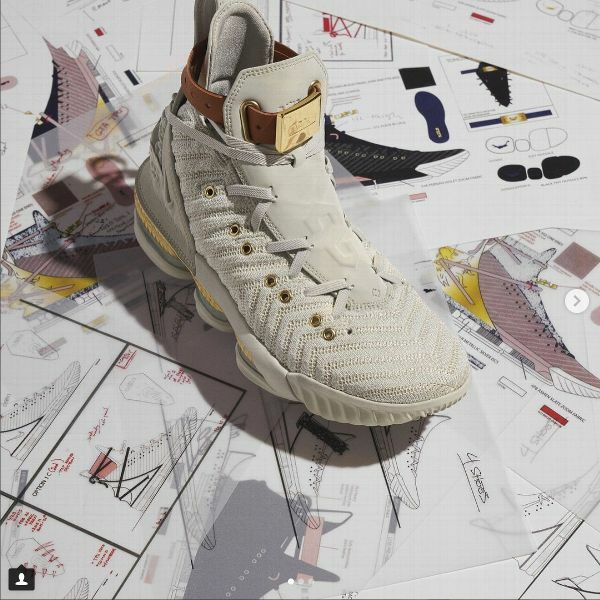 The HFR x LeBron 16 limited edition women's sneaker, the first for women in LeBron James' line, was sold out by 10:05 a.m. on Friday. It took just five minutes, or 300 seconds, for the collaboration between Nike and Harlem's Fashion Row (HFR), a movement founded to increase diversity in fashion, to deplete its inventory. James attended HFR's Style Awards and Fashion Show in New York City the Tuesday before the release, where he was honored for his style and philanthropy. When he stepped to the podium to accept the ICON 360 Award, James said, "I believe African-American women are the most powerful women in the world," while holding his 3-year-old daughter, Zhuri, in his arms. 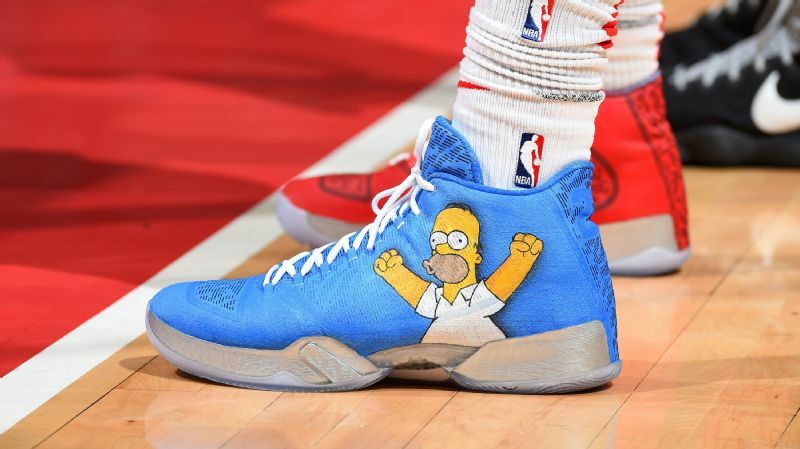 The 14-time NBA All-Star, who also has two sons, noted that the HFR x LeBron 16 design was inspired by the strength of James' mother, Gloria, his wife, Savannah, and his daughter. "I got a phone call last year, and the caller said they were looking for black female designers to partner with, but the person didn't mention the brand," said Brandice Daniel, who founded HFR in 2007 as a means to give multicultural fashion designers a platform. "It was all very hush, hush." The next day, Daniel got a call from a Nike exec saying that LeBron James -- who opened the I Promise School, a public elementary school in Akron, Ohio in July -- wanted to develop a shoe in honor of the strong women in his life. "I sent three designers to Nike, and they were supposed to pick one to handle design. But, they asked for all three to collaborate on James' shoe," said Daniel. The designers, "Project Runway" alum Kimberly Goldson, Undra Duncan and Fe Noel, alongside Daniel, all flew out to Nike Headquarters in Portland multiple times and worked closely with James and his team. 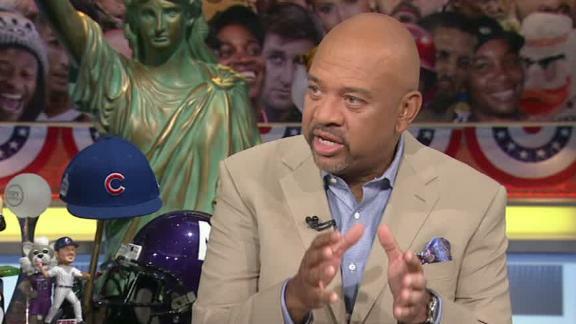 "It was like having a baby. We've been working with Nike for over a year. When we finally showed LeBron the shoe, he loved it." "There was this feeling of sisterhood; it was such a collaborative effort between myself, my fellow designers and Brandice," said Noel. "This was LeBron's ode to women. The shoe is about how much he respects and loves us." The HFR x LeBron 16 sold out in five minutes. James and Nike wanted the shoe to be reflective of the designers' aesthetics. "Each of the designers uses gold in their collections, and the color is used all over the sneaker," said Daniel. And the shoe's design, which features a leather buckle with gold hardware that doubles as a cuff or choker, seemed to resonate with women sneakerheads. The hashtag #BlackGirlMagic flooded social media when the shoe was released, Venus Williams was spotted wearing the sneakers at Curvy Con, a size-inclusive alternative to New York Fashion Week, and New York Liberty guard Bria Hartley was on site at the HFR Awards to witness to the unveiling of the shoes. 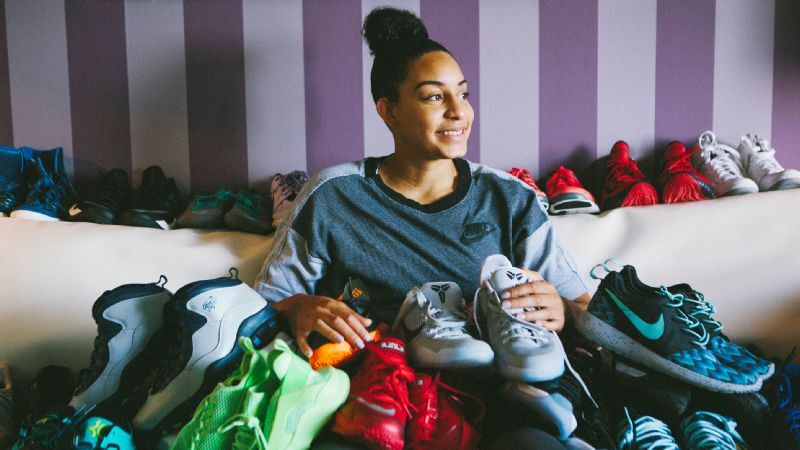 But the popularity and sheer demand for this shoe doesn't change the fact that not one WNBA player has a sneaker line to call her own. There hasn't been a WNBA player to have a shoe named after them since Sheryl Swoopes in 1995. In an ideal world, the success of the HFR x LeBron 16 sneakers would usher in change, but only time will tell.